Ulysse Nardin Marine Annual Calendar Chronograph (15331507M43) automatic watch features a 43mm stainless steel case with a blue dial on a stainless steel bracelet with deployment buckle. Functions include hours minutes small-seconds chronograph date month and annual calendar. This watch comes with the original box. We back this watch with a 15-month warranty! Swiss watchmaker Ulysse Nardin was founded in 1846 in Neuchâtel Switzerland and has been dedicated to excellence in mechanical watchmaking ever since. Since the manufacturer’s earliest days more than 170 years ago when its founder Ulysse Nardin began crafting marine chronometers in a mountainous location in Neuchâtel Switzerland this watchmaking powerhouse has continually proved that challenges present intriguing opportunities worthy of exploration. It is these explorations that have resulted in Ulysse Nardin’s unprecedented inventions in horology. Science innovation and imagination are its muses and technological advancement – combined with stellar artisanship – is its beacon.Ulysse Nardin Marine Annual Calendar Chronograph (15331507M43) automatic watch features a 43mm stainless steel case with a blue dial on a stainless steel bracelet with deployment buckle. Functions include hours minutes small-seconds chronograph date month and annual calendar. This watch comes with the original box. We back this watch with a 15-month warranty! This watch is Certified Pre-Owned in New or Like New condition. Watch may show subtle scratches. The case should exhibit no dents or dings and the bracelet should show little wear or stretch. 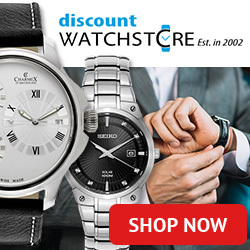 The watch keeps time according to manufacturer’s specification and needs no mechanical service.